BIOREZONANCE@MY - Your Way to Health! Today we would like to introduce an innovation in modern technology in quantum medicine - neutralizer of negative electromagnetic frequency radiationsy – the Sensitiv Imago® Angel device. Let's have a look "How the CERN works". There's a new article "Possible complications during the treatment". Take a look at this new article about "Faked bioresonance devices". New article "All about examination". There's a new article "Diagnostics of urogenital organs". 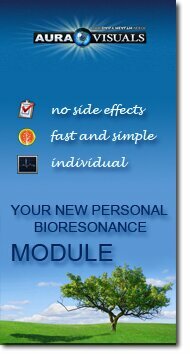 Bioresonance - Your Way to Health! Sensitiv Imago® Angel was proof-tested and certified by the International Association for Electrosmog-Research IGEF Ltd. In this article, you will learn about the device which was developed by a group of experts in the field of quantum physics and medicine. At the core of this device are a modern quantum-physical technology and the experience of some of the forward-thinking physicians who are interested in quantum medicine. This device is able to help the practice of both the specialists (doctors, therapists, naturopaths) have an interest in holistic medicine, as well as people who simply look to get rid of the negative impact of everyday electromagnetic smog. Many people think that bio resonance is the latest development modern age, while in fact, it is an effect that was here with us and will be with us. It is like a physical law that we accept and consider working – the same applies for bioresonance - it is something we cannot deny. Thanks to resonance effect so many things can operate. Everyday situations that we encounter and we don't even realize that it is related directly to this effect. Processes that cause changes in harmonic information-filed oscillations of body cells turning them into disharmonic ones are the root of all pathologies that take place in human organism. These changes occur in cells due to functional and structural changes in body organs. Of course, reversion of these unfortunate changes is not an easy task, but it is possible to just “tune up” those functional disturbances by turning disharmonic oscillations into harmonic ones. Fixing functional disturbances of human organs and systems and bringing back normal physiological oscillations will relieve you from various pathological symptoms, and there is no need of using any medicaments whatsoever. For that we offer you our new bio-resonance methodology Aura Visuals. For more information click on the banner on the left or you can watch our video first.